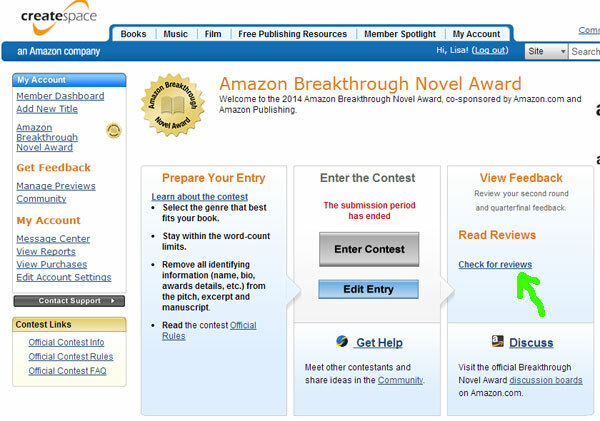 If there's one contest I suggest you enter each year, it's the Amazon Breakthrough Novel Award. It's completely FREE to enter - and the prize amounts are fairly staggering. Here's how it works. First, you have to have a CreateSpace account to enter. This is free to set up and means you have a private admin area to maintain your submission. So go ahead to createspace.com and set up your account. It's quick and easy. Once your account is set, look in the left hand menu bar. 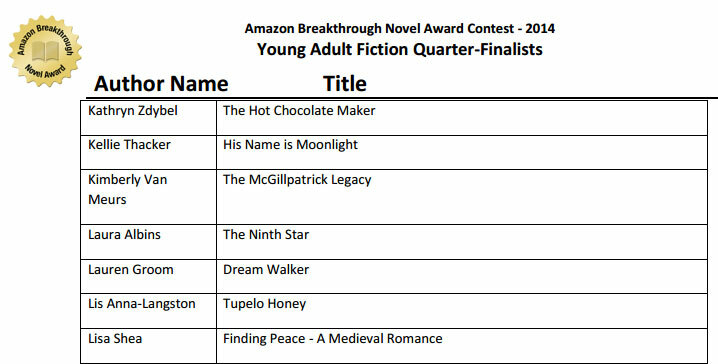 The link to the Amazon Breakthrough Novel Award is right there. Depending on what time of year it is, you'll either see the entry form on this page or information about the previous contest. Each new contest tends to start mid-January, but the exact start date varies from year to year. The submission period is open for just a few weeks. So it's good to make note of when a previous contest began (for example, 2014 ran between February 16 and March 2) and plan accordingly. Start checking this page every few days in the target window. Make sure you have ALL your files ready to go when the contest opens. Amazon only takes the first 10,000 entries and they have been known to fill up quickly! Your book can be in the categories of General Fiction, Mystery / Thriller, Science Fiction / Fantasy / Horror, Romance, and Young Adult Fiction. There is a prize for the top person in each category - a $15,000 contract. The overall top winner gets a $50,000 contract rather than that $15,000 contract. Many people have asked which category gets the least entries, so therefore the fewest competitors, but nobody knows that. It's best to go with the area you are strongest in. There are three things you must submit: A 300-word-or-less blurb, your first chapter (more or less), and your whole book. It's important that each of these is PERFECT. In the first round, the ONLY thing you are judged on is your blurb. Nothing else, Your story could be absolutely fantastic but if you don't make it past the blurb round your story will never be seen. Similarly, the second round is only the first chapter. If that first chapter does't grab the reader's attention and make them crave to hear more, you'll never keep going. You need your book to shine in each of these three areas. Also, all judging is done blind. So all mention of your name, awards, background, and everything else must be completely stripped from what you send in. Your first chapter must have only the first chapter in the file and nothing else. The full story can't have your name anywhere - not in headers, footers, forewards, or anything else. It must simply have the story itself. I'll note that I have been part of the review team in past years for Amazon, so I've seen some of this from the "other side". 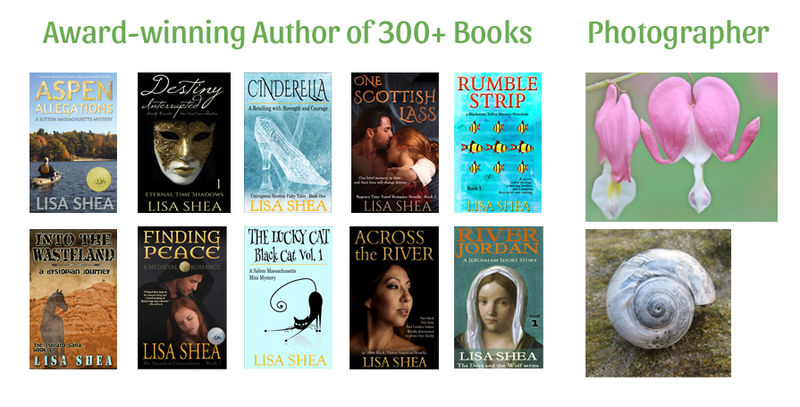 In 2014, I decided to enter one of my own novels, to document how it went from the author's side. Any non-commercially-published book can be entered. Self-published books are quite fine. So, here's how the process went in 2014. In 2014 the entry period ran from February 16, 2014 to March 2, 2014. I made sure to enter on the very first day just in case 10,000 mad fools all did the same thing :). I had my files all ready and as perfect as I could get them. Round 1 ran from March 3 to March 17 - so two weeks. This was when ONLY the blurbs were read. The Amazon editorial team winnowed it down to the best 400 books in each of the five categories. So that means one out of five authors makes it through this stage. The top 20%. Amazon doesn't personally contact the winners. Instead, On March 17th they posted PDF files of the winners in each category. So you had to load up your PDF file and see if your name was in that list. Also, strangely, they list it in order by your FIRST name. So there I am with Finding Peace in the Young Adult section. This means I now move on to Round 2. Fellow writer Thomas Hollyday made it through in Mystery. Another friend, Deanna Kahler, made it through in Romance. So we'll see how each of us do. Round 2 runs from March 18 through April 11 - so just over three weeks. This is when the Amazon Vine people come into play, reading first chapters. This is what I've done in the past. Every chapter has two different readers to get a balanced score. Again, the readers don't know who the authors are (although, really, it wouldn't be that hard for them to figure it out if the book is self-published and live). 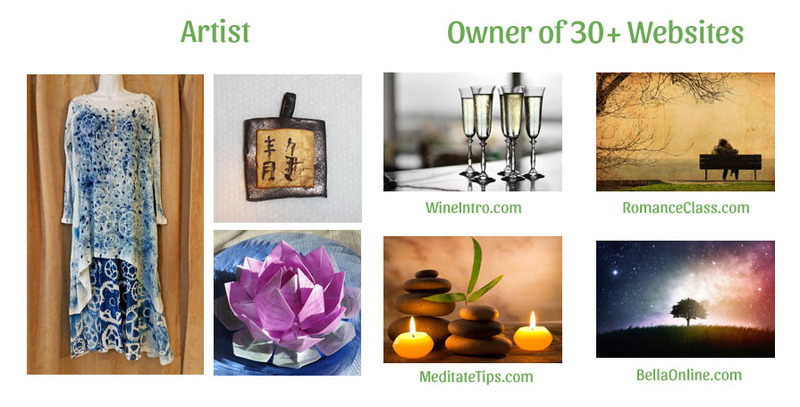 Based on those reviews, a top 100 entries are chosen from each category. So at this point an author being chosen is one out of four - the top 25% of all Round 2 books. Out of the entire starting pool it's the top 4% of all entries. I'll note that I call this intro text block a "chapter" in my writeup, but technically what you submit is the beginning of your story with a minimum of 3,000 words and a maximum of 5,000 words. If your first chapter is longer than 5,000 words, you'll have to truncate what you submit. If your first chapter is really short, you might have to go part-way into chapter 2 in order to meet their minimum requirements. You'll want to choose that perfect block of text, between 3,000 and 5,000 words, to represent your story. For most people that means providing chapter 1 which probably leaves off in a perfect "hook" spot. For others, it might mean figuring out how to truncate mid-chapter somewhere to meet Amazon's length requirements, which could be far trickier in terms of maintaining that hook at the end. You absolutely want the way the exerpt ends to be "hook-like" - to create that feeling of desire in the reader. You don't want it to end with a "blah" feeling, which then will impact how the reviewer rates the piece. In my case, my chapter 1 was fairly short. So I included for my exerpt Chapter 1, Chapter 2, and a bit of Chapter 3, which left it in a perfect spot (in my opinion, of course. Chapter 1 did a "scene setting" intro of the two characters and then Chapter 2 fleshed them out, so I liked having both of those in there. Luckily, the Amazon readers agreed with me - they loved my story! I moved on to the Quarterfinals / Round 3. Again, the results are published as PDF files in the CreateSpace area. As an entrant you get an email when the winners have been chosen, but you have to go look for yourself to see if your name is on the list. Note that everybody in Round 2 - whether they win this stage or not - gets to see what the Amazon reviewers said about the entry. 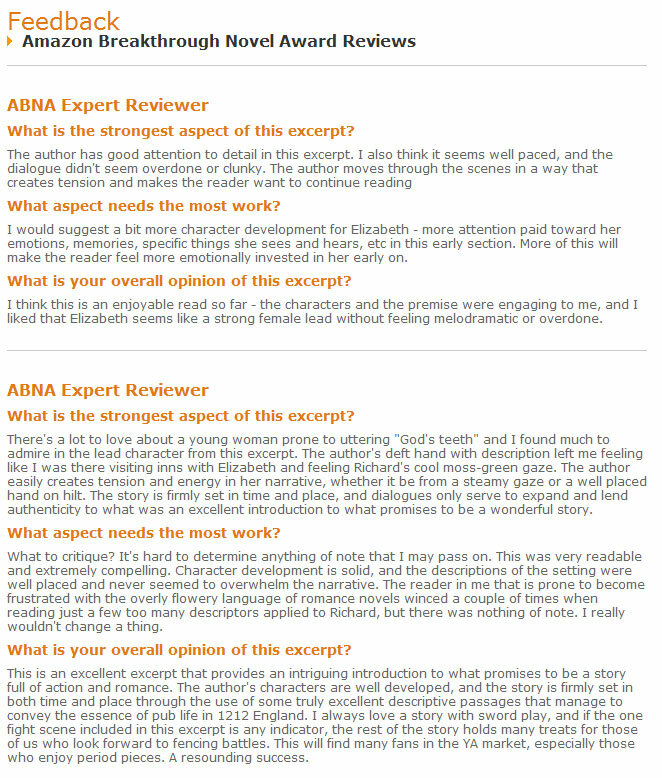 The reviews can help the author tweak or adjust their book. The link is in the same admin area. Here is how the review information is posted. This is the actual feedback I received for Finding Peace. Note that it took them about a week to get the reviews posted, after the quarterfinalists were chosen. So it's not posted instantly. On April 11th begins the serious work. At this point the public can see the first chapter and vote on them, but this is just for fun. What really matters here is that Publishers Weekly will be reading the entire book for each submission and judging them. They will choose only five books from each category. Just five. These will be announced on May 23. I did not make it to the Semi-Finals. Amazon went from the top 5 in each category to the very top person in each category. Again they read the entire novel and judge based on it. These people do get personally contacted by Amazon, in early July. From those top-in-their-category people, user voting - on the exerpt alone - chooses an overall top winner. So, again that exerpt (first chapter) is absolutely critical for multiple reasons. In 2015 Amazon discontinued their Breakthrough Novel Award in favor of their Amazon Kindle Scout promotion.